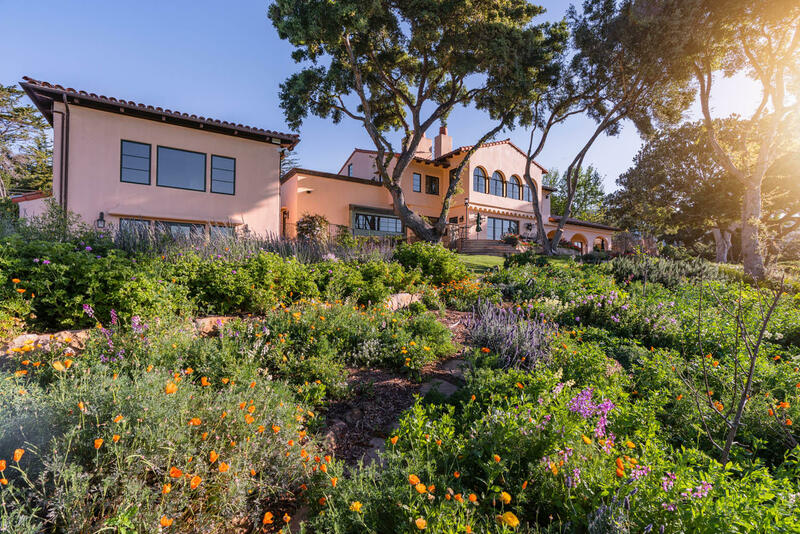 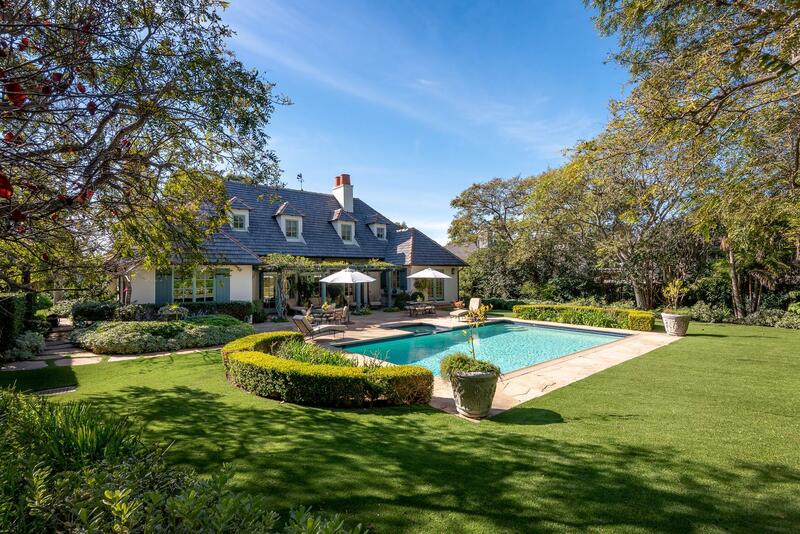 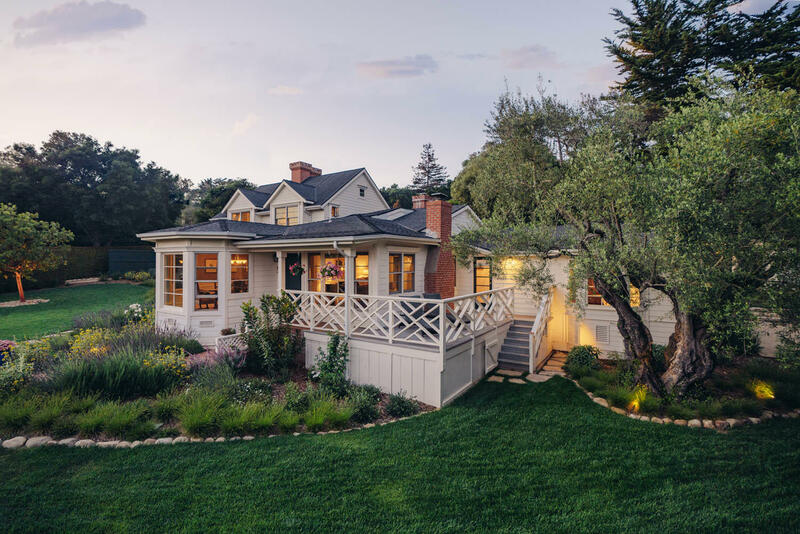 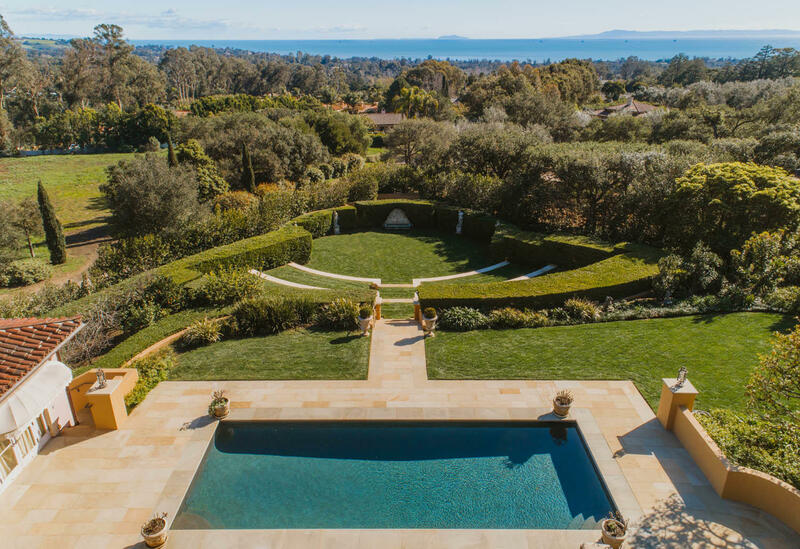 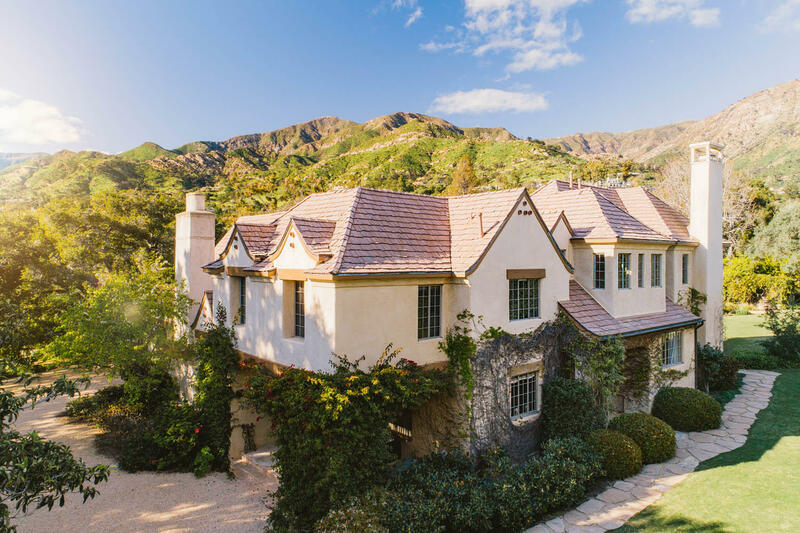 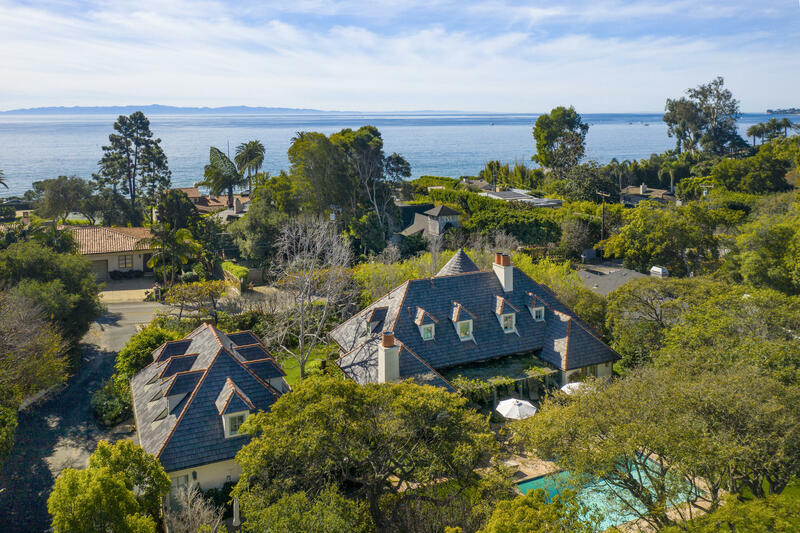 Reminiscent of an estate in the French countryside yet mere moments to world-class beaches, this beautiful French-inspired Montecito estate exudes an ambiance of relaxed luxury. 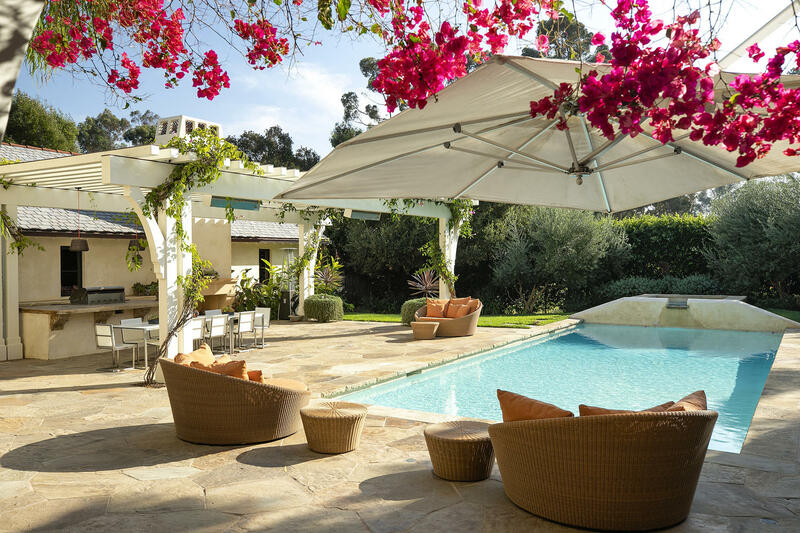 Christened La Dolce Vita, the main residence and detached structure have been exquisitely maintained to this day. 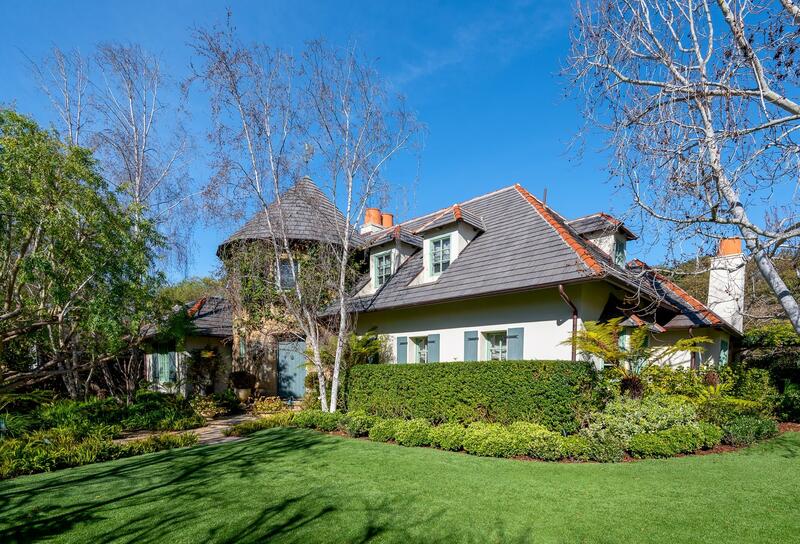 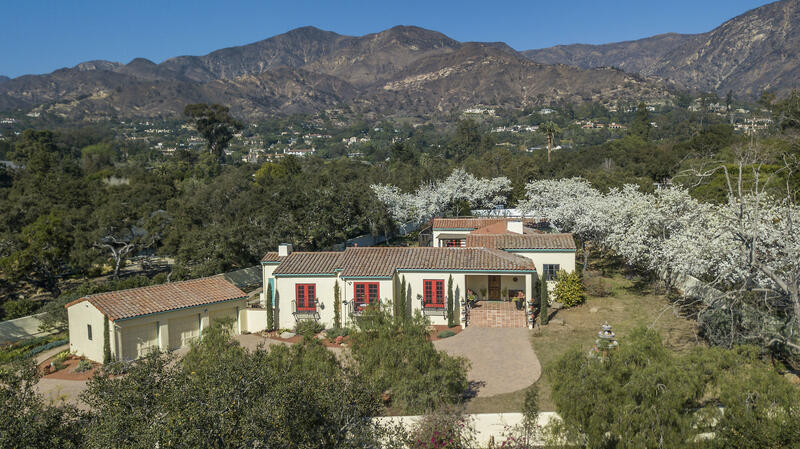 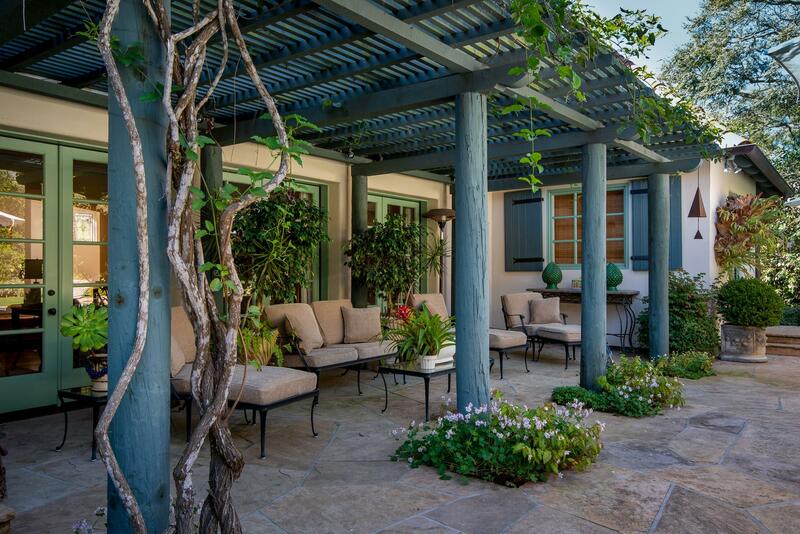 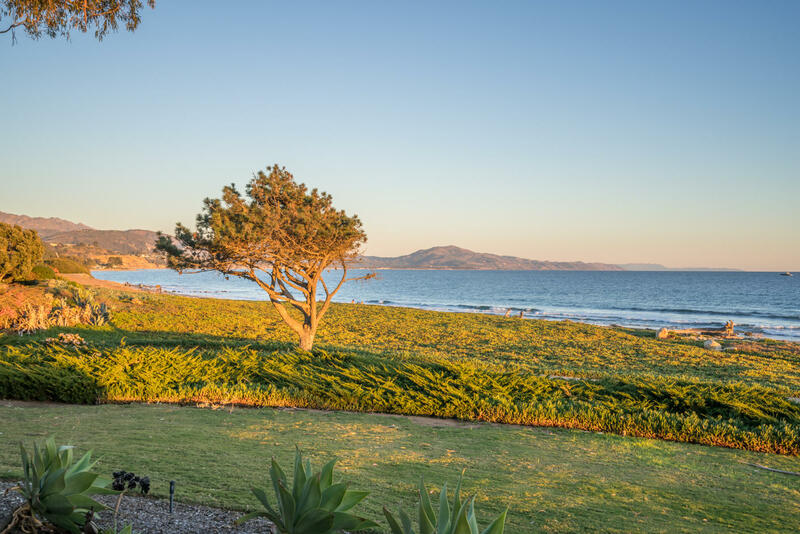 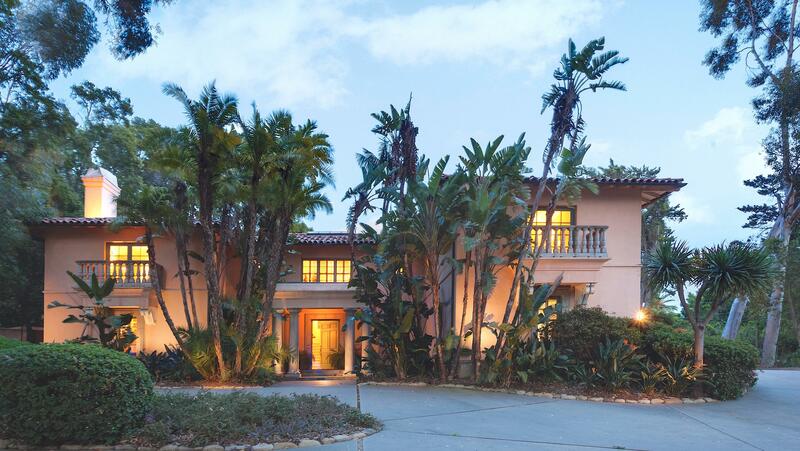 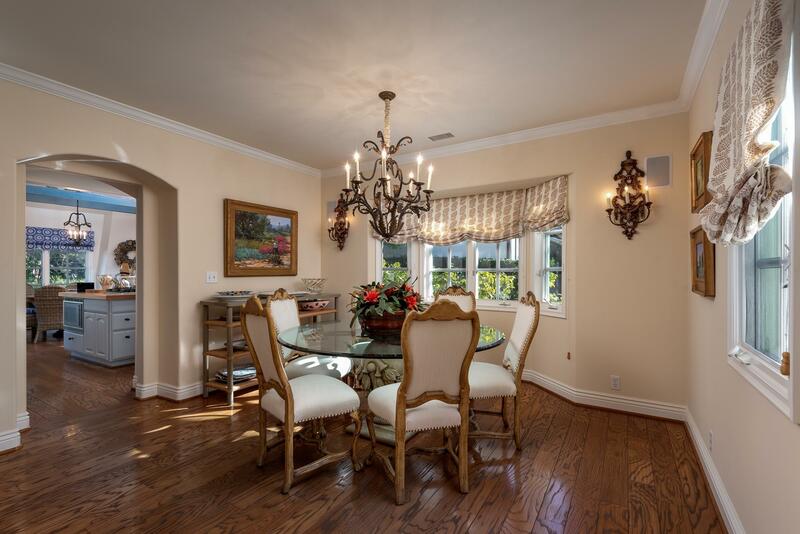 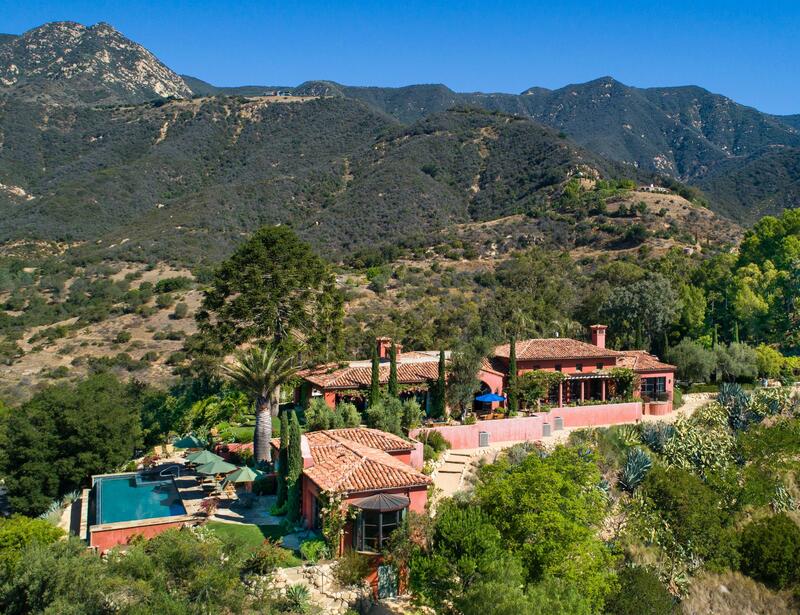 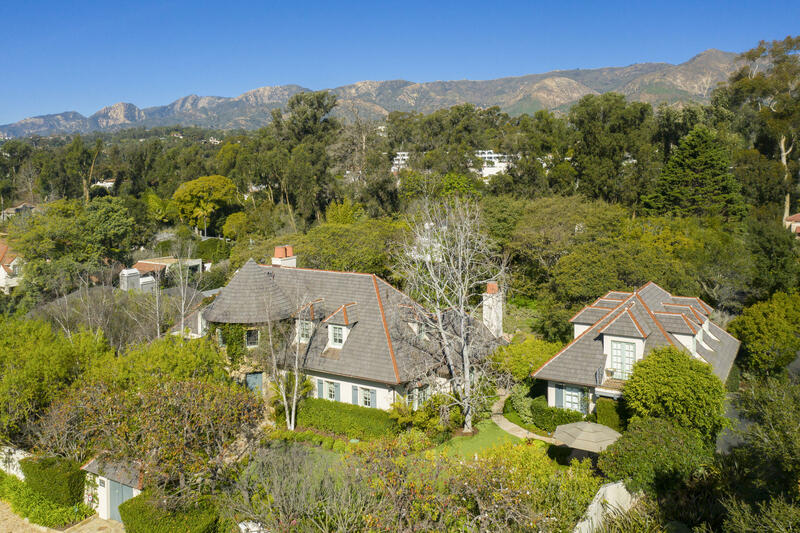 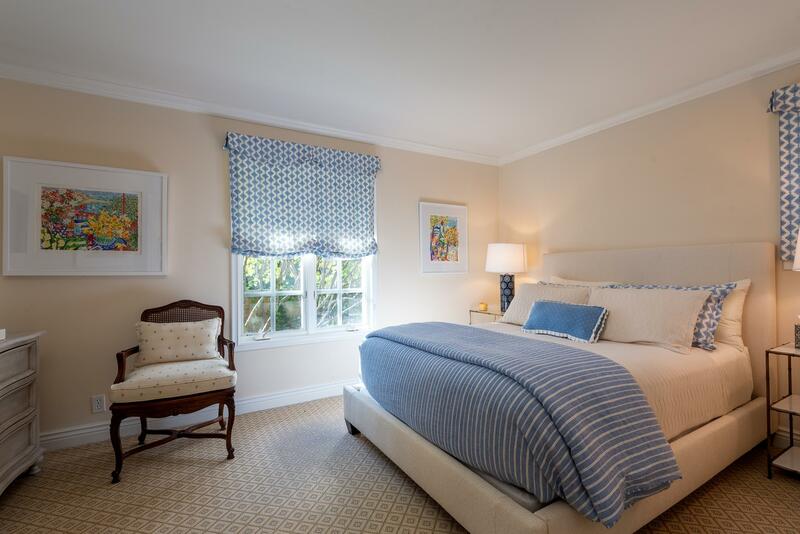 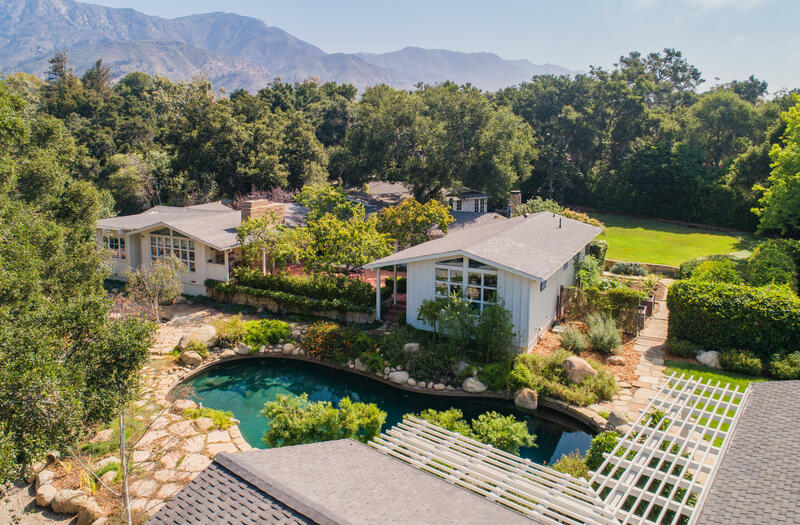 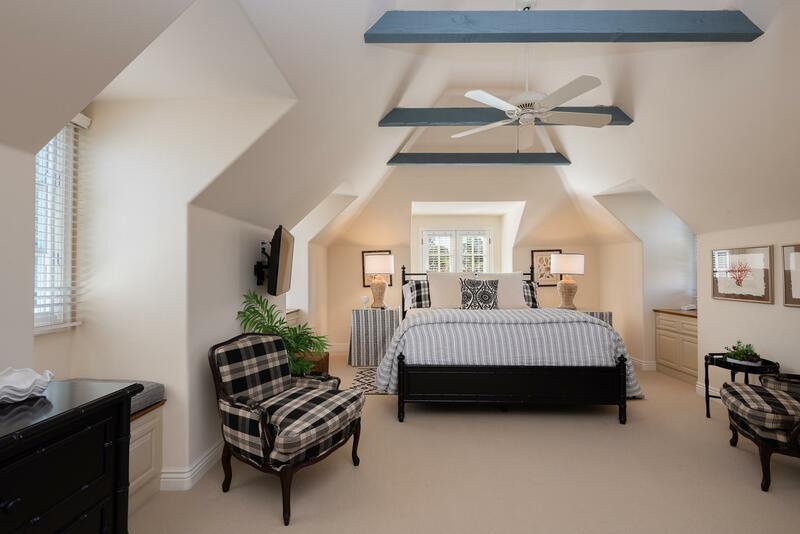 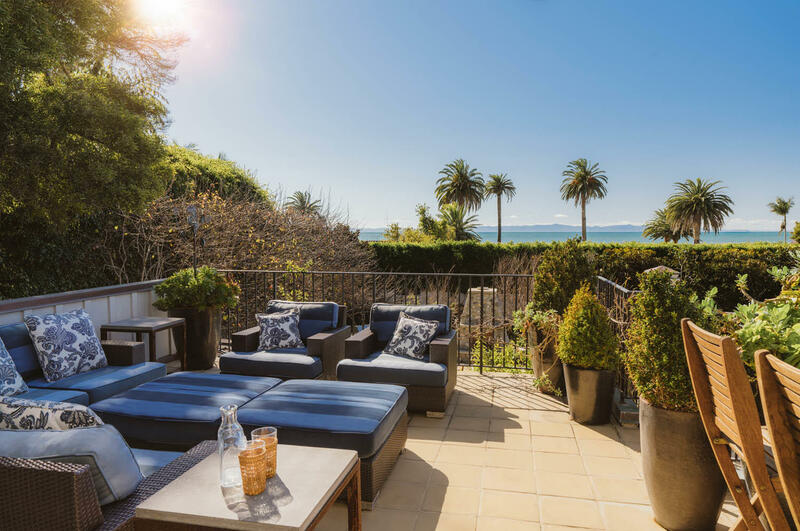 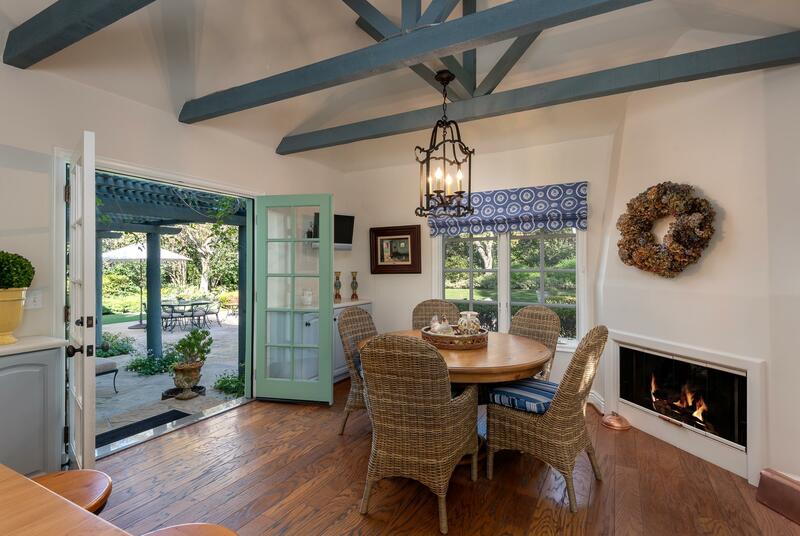 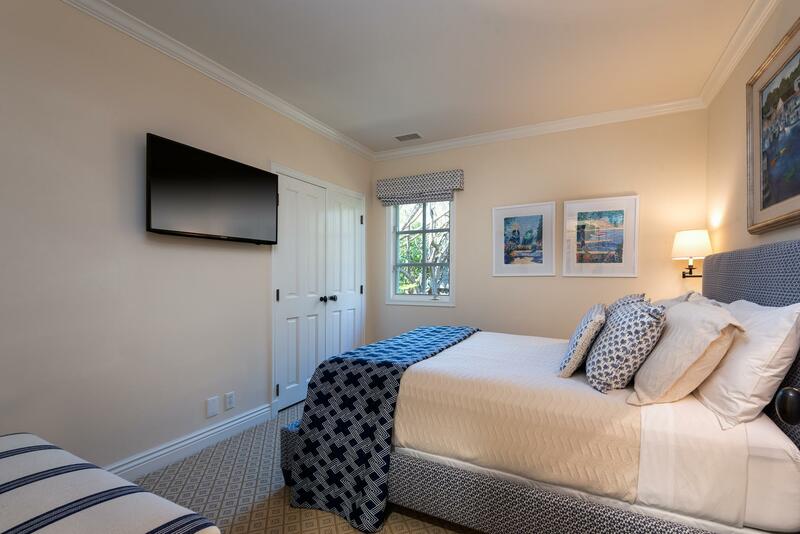 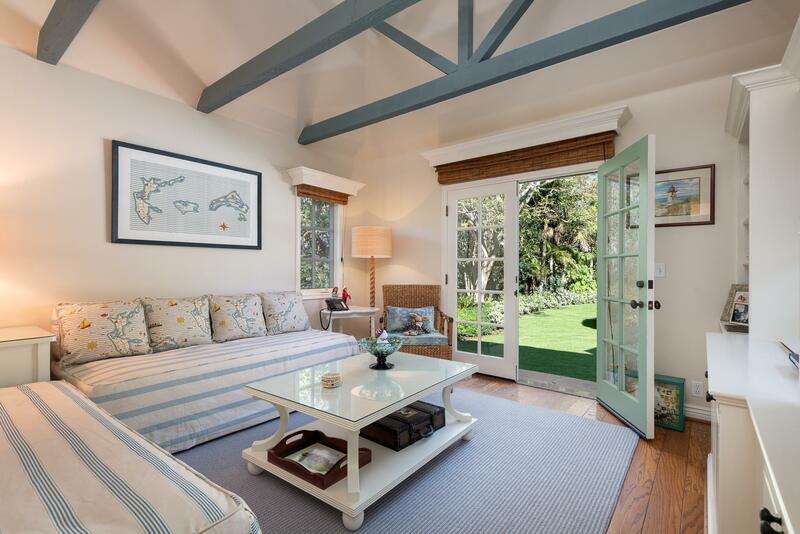 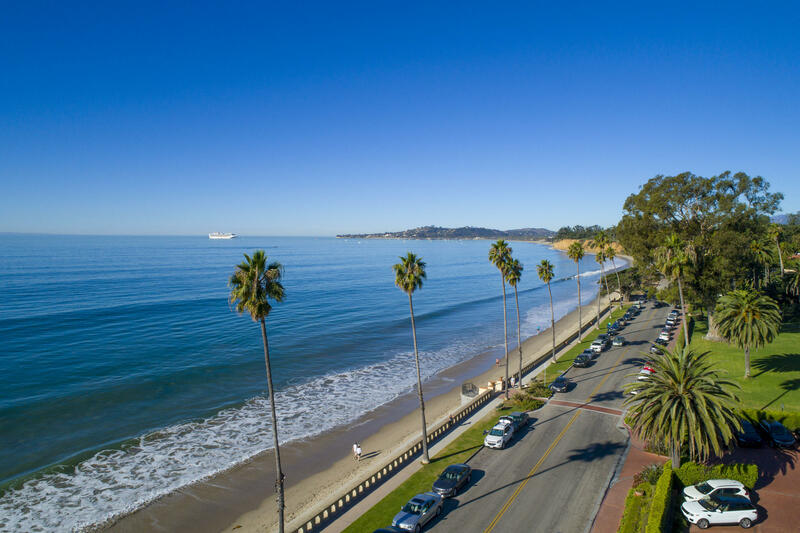 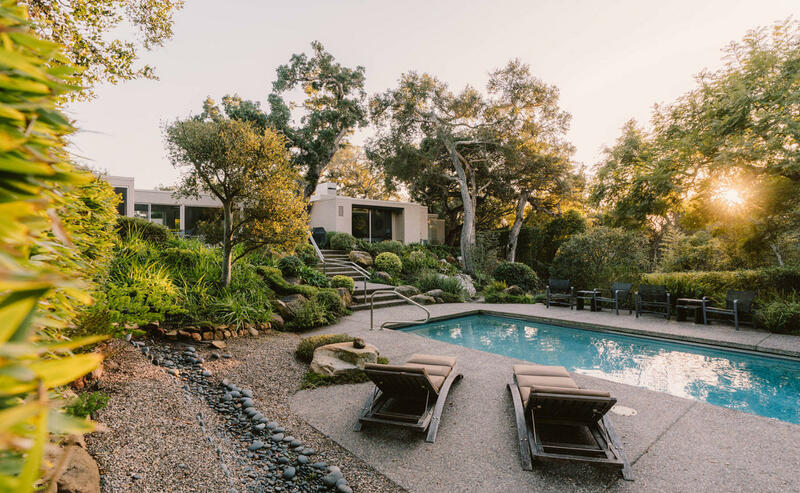 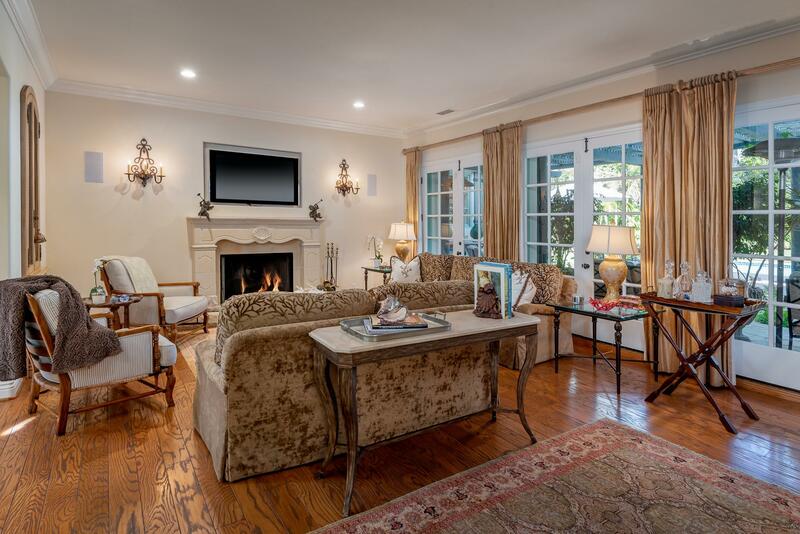 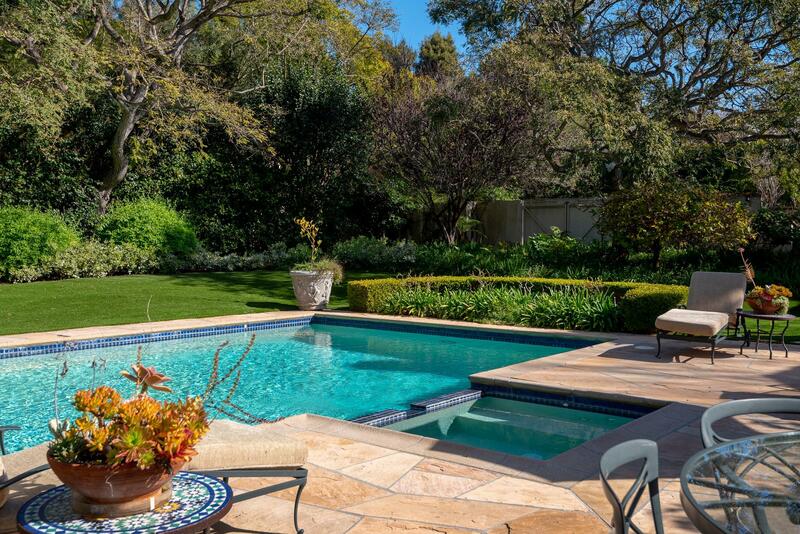 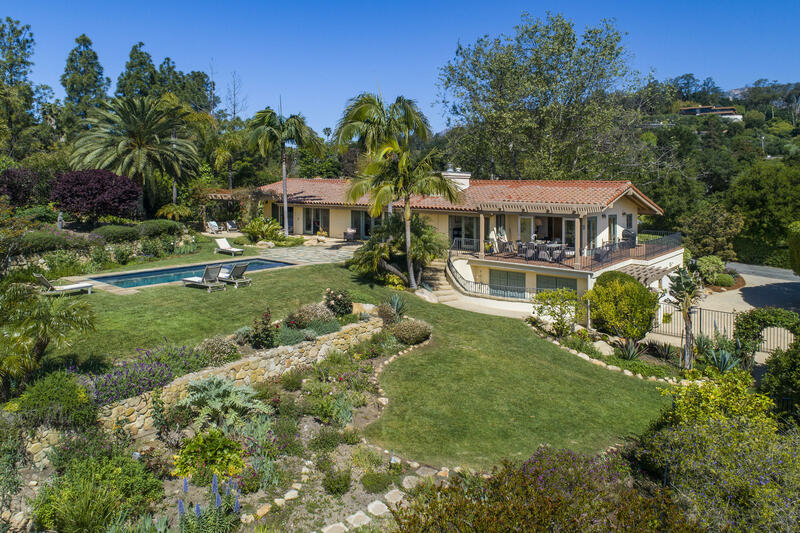 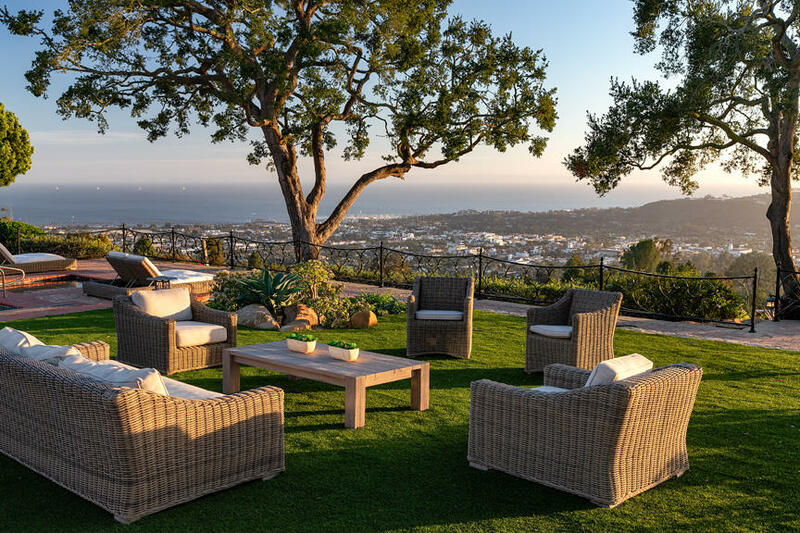 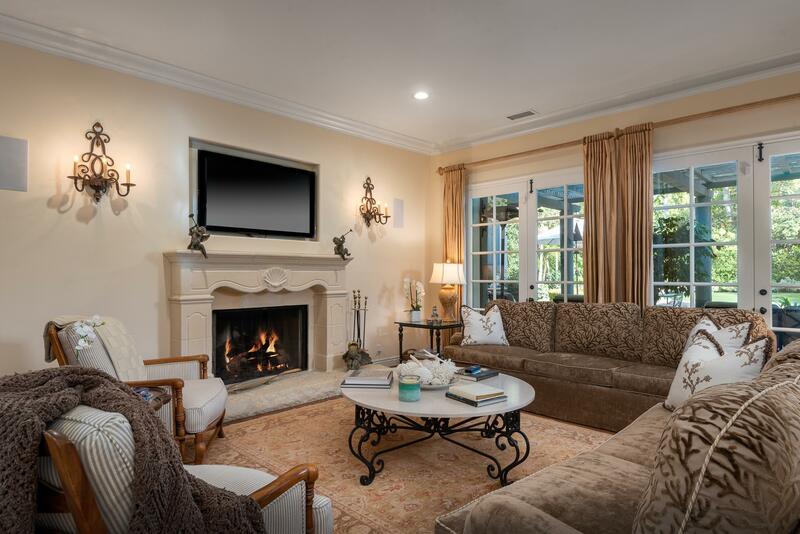 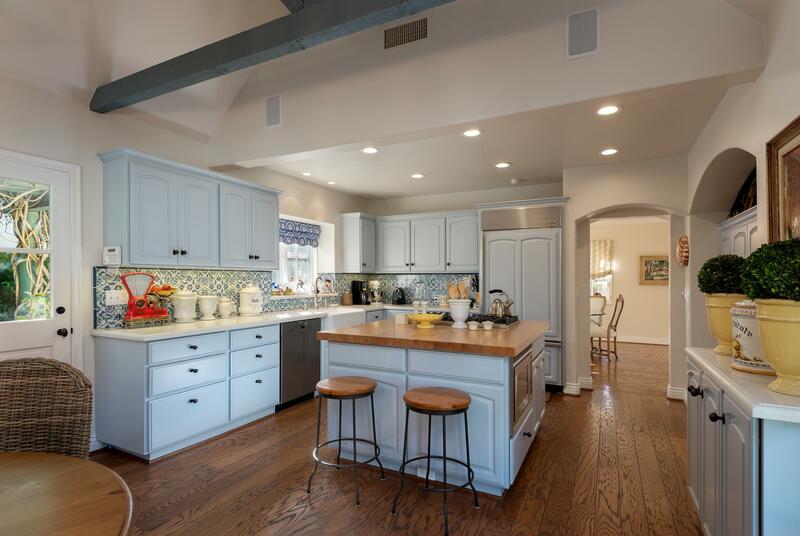 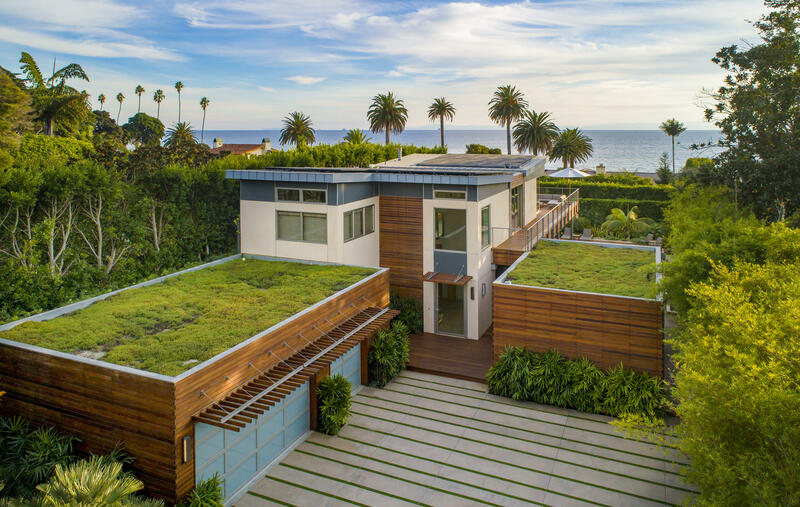 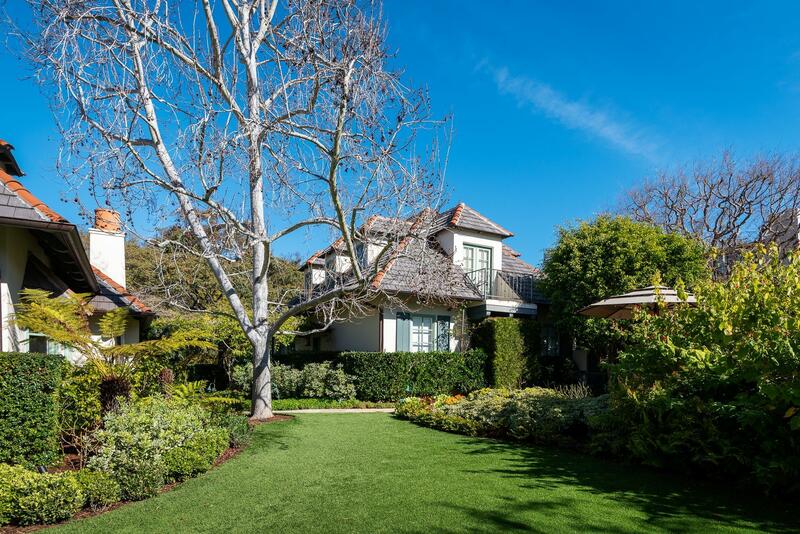 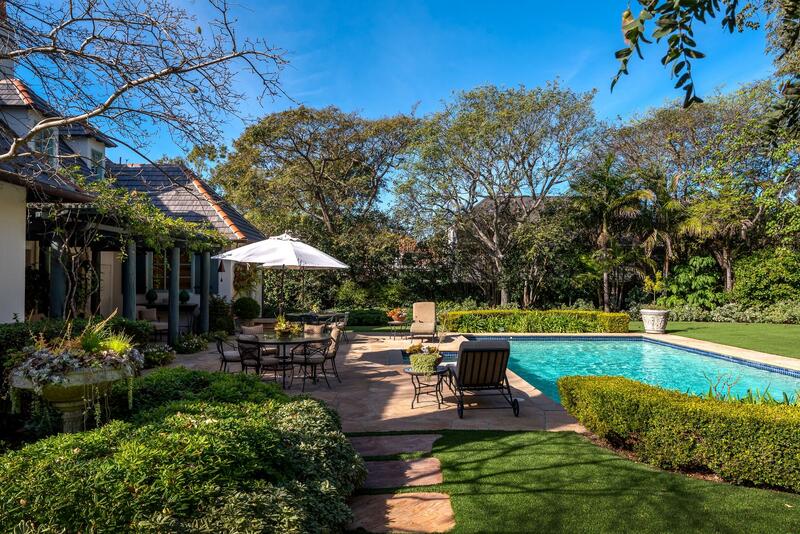 Its distinct architecture lends itself nicely to Montecito's coveted indoor-outdoor lifestyle. 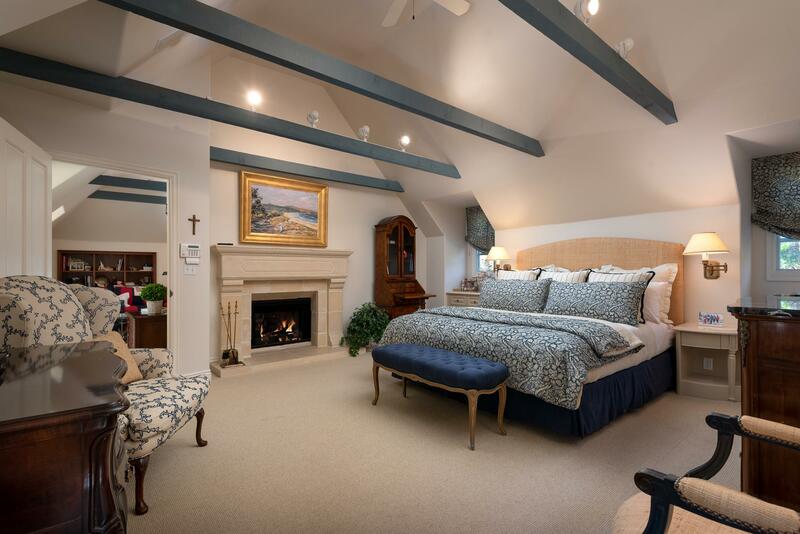 Many of the rooms have outdoor access and multiple windows, allowing for an abundance of natural light and listening to the nearby waves crashing on a warm summer night.Through traditional blue wooden gates, a flagstone pathway, bordered by precisely-trimmed hedges and other tasteful landscaping, leads one to an imposing stone turret entryway and a dramatic curved staircase with clerestory window. 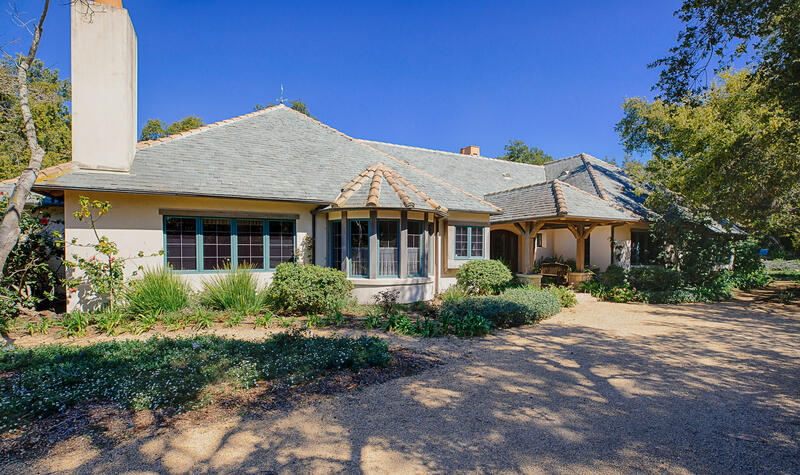 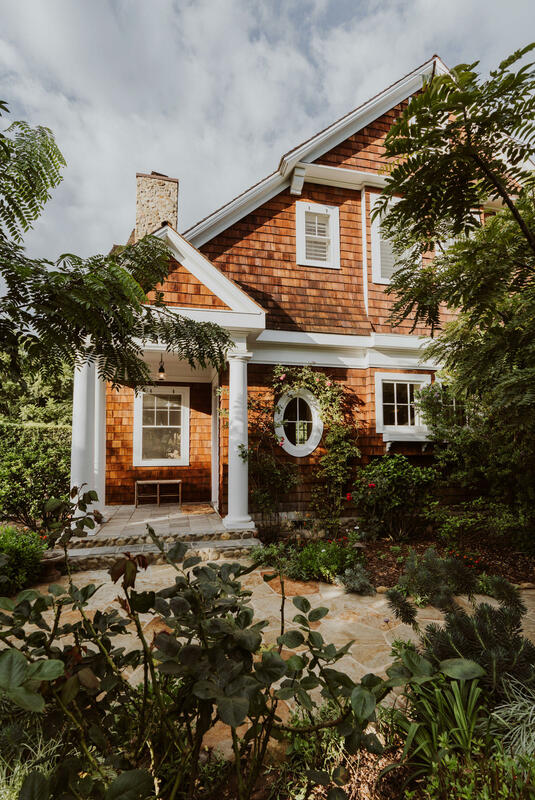 The home's cool white stucco exterior is accented by colorful trim, while the gray roof is complemented by terra cotta tiles and chimney caps. 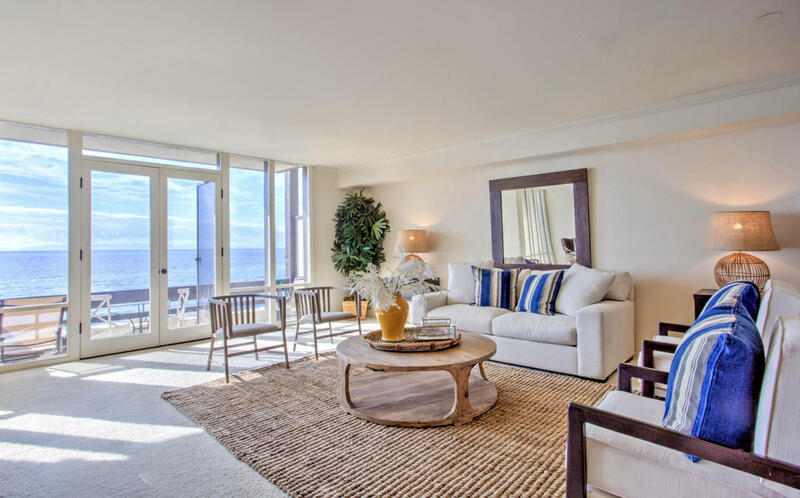 The immediate presence of refined detail is sure to impress the most discerning future owners and guests.